Lipoabdominoplasty can be considered nearly as daily aesthetic procedure. Despite the emergence of laser-assisted liposuction, it is not clearly evaluated in combination with abdominoplasty. In our work, we combined high-lateral-tension abdominoplasty and liposuction of upper central abdomen and both flanks. 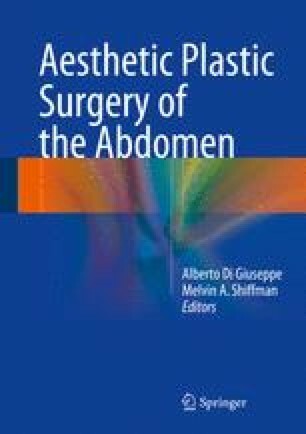 The authors found that the use of laser-assisted liposuction can be combined safely with abdominoplasty in the lateral abdomen with good aesthetic outcome. Although the use of laser-assisted liposuction with abdominoplasty in the central abdomen and flanks could achieve relatively better clinical aesthetic results, it showed higher significant complications that cannot support its routine use during abdominoplasty procedure. Proper laser type selection and adequate laser parameters in the central abdominal area are still an area of further trials.